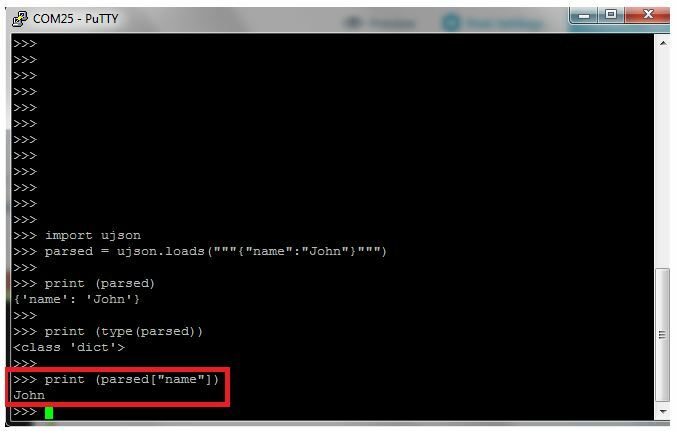 The objective of this micropython tutorial is to explain how to parse a JSON string with MicroPython running on the ESP32. 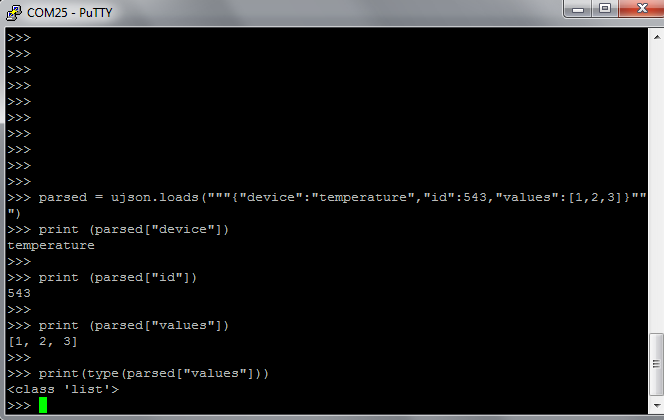 After that, we should have access to the ujson object, which makes available a method called loads. 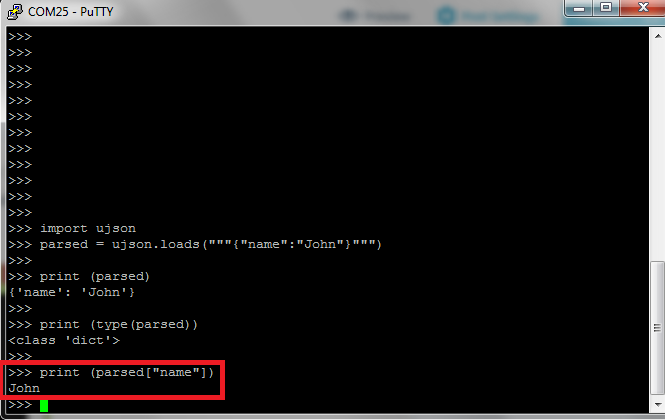 This method receives as input the JSON string and returns an object corresponding to the parsed JSON . We will start with a simple JSON structure, which is the one shown bellow.